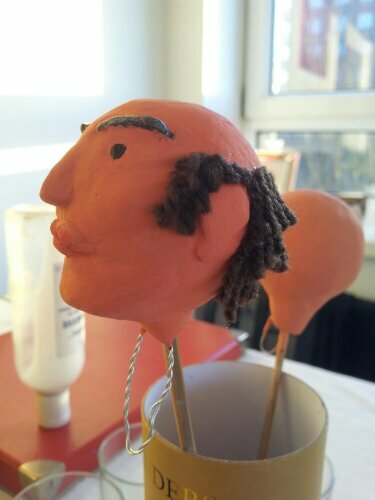 And my puppet has the beginnings of a hairdo! This entry was posted in sound and vision and tagged puppet making, sound and vision by Julia Fry. Bookmark the permalink.